Looking to insulate my attic. Heat loss and heat gain (wasted money). My power bill is through the roof in the summer then so is my gas bill in the winter. I live in an older house its about 2,100 sq ft. It is a rental and im fairly confident the landlord hasnt done maintenance, or changed the air filters ever. I took off a couple of the vents and the ducts were absolutely disgusting full of dust. I think we could really benefit from a HVAC service as well as a duct cleaning and repairing any leaking duct work. Remodeling home in future. Comparing prices. Upstairs during the summer will be 3-4 degrees warmer than temp being set. This is much worse on one side of the house than the other. Also, one room gets very cold during the winter. Our 2nd story, especially the master bedroom is much warmer than the rest of the house. In the winter in was much cooler. 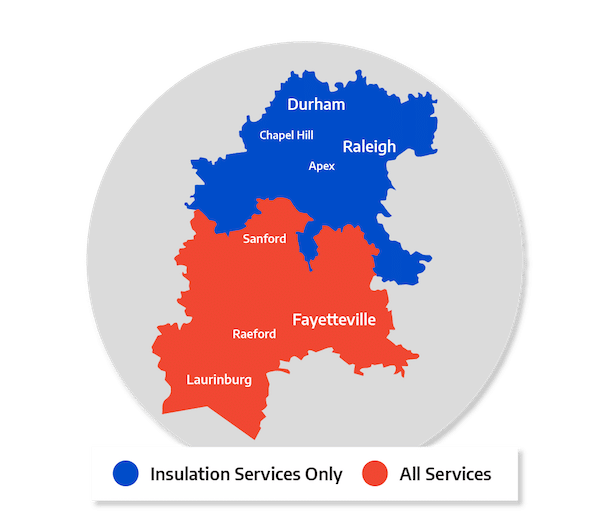 We are pretty sure it is an insulation issue, but also want to make sure HVAC is operating properly. The upstairs floor is exceeding hot, while the bottom floor stays cool. Am converting attic into bonus room and looking at insulation options. Interested in reselling attic, possibly crawlspace.